In the Middle Ages Beverley in the East Riding of Yorkshire was one of England’s ten largest towns, swelled by a burgeoning wool trade. Beverley Minster attests to the wealth of that time, and at 102 metres is longer than many English cathedrals. The shops and townhouses in the upmarket centre of Beverley are mostly Georgian, the same period that gave the town its stately Guildhall when the Beck Canal allowed seagoing ships to reach Beverley for the first time. West of the town at the tip of the sprawling Westwood Common is Beverley Racecourse, which has hosted races on the flat since the 17th century. A parish church of real size, Beverley Minster is larger than a third of all English cathedrals. This monument has a beauty to march its proportions: Following a fire in the12th century the church was rebuilt in stages between the early 13th and early 15th centuries, leaving it with a blend of Early English, Decorated and Perpendicular Gothic design. On arriving your eye will be caught by the marvellous Perpendicular west front and its twin towers and Highgate Door. In the nave you can find carvings of musicians from the 14th century. The older east end, completed up to the transept in the 13th century is in the Early English style and has pointed lancet windows, dog-tooth mouldings and masterful stiff-leaf decorations. 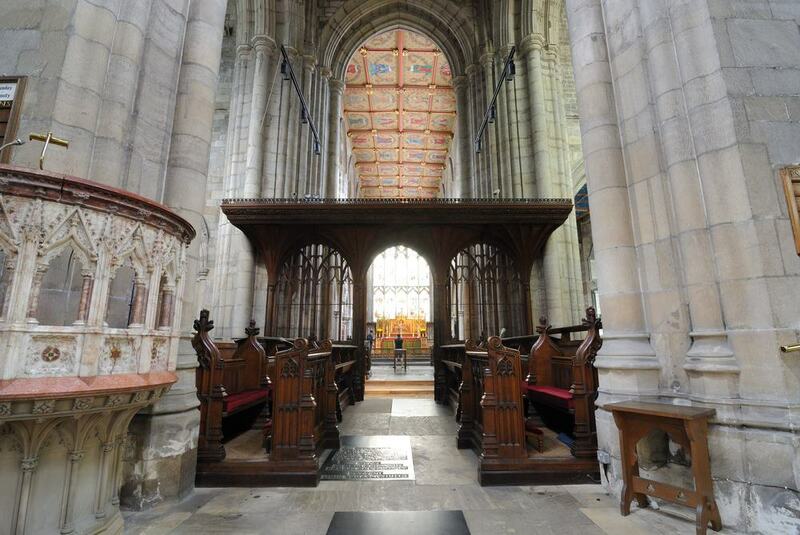 Seek out the Purbeck “marble” stonework in the east end, as well as the 68 16th-century misericords in the choir and the stone frith stool that was carved Anglo-Saxon times. 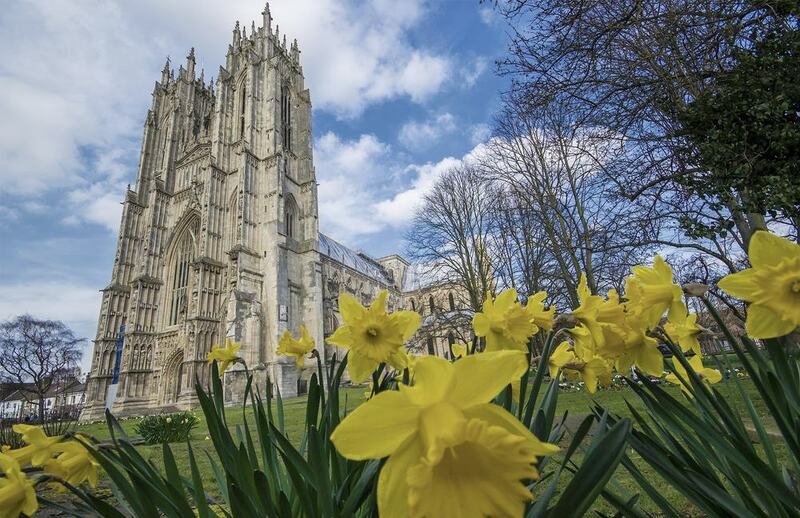 Founded in the 1100s as a daughter church to Beverley Minster, St Mary’s Church was completed in 1520 after a total overhaul that was started in the 13th century. Maybe the most treasured corner of the building is the 14th-century north aisle, where at the east end the mouldings of the windows, tracery, piers and star vault all merge organically. The late-14th century west front is sublime and may have even influenced King’s College Chapel at Cambridge, which was built soon after. St Mary’s Church is also cherished for its 15th and 16th-century ceilings. Don’t leave without seeing the Ceiling of Kings in the chancel, painted in 1446 and depicting the Kings of England up to that point, or the Ceiling of Stars and Constellations. 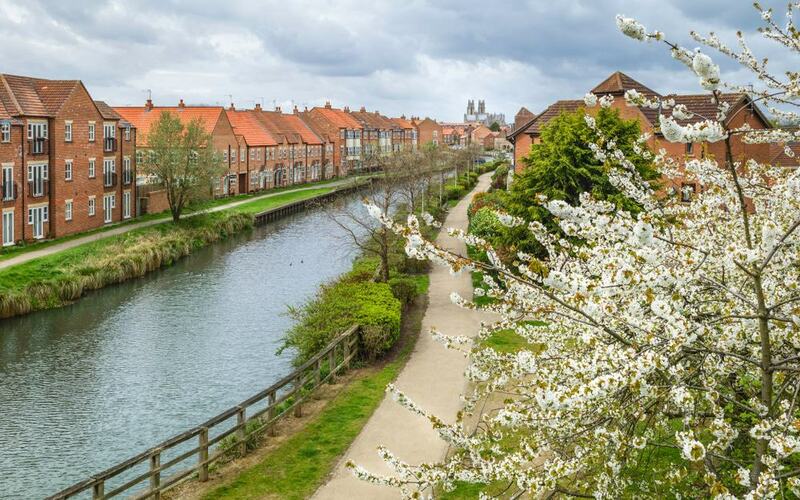 With a north and south loop, the Beverley Town Trail winds through Beverley’s historic centre from the North Bar to the Beverley Beck, uncovering old tales and points of interest. There are 39 sculptures on the route (some need a little patience to spot), each for the guilds and trades that controlled a given area. These sculptures were produced with the help of 700 school children from Beverley, and represent armourers, carpenters, jerkin-makers, glovers, musicians, to name just a few. Head online and you can download the trail’s leaflet, which points out some historical details you might miss, and has lots of little activities to keep youngsters engaged. Beverley’s museum, library and the East Riding archive were brought under one roof in 2007 when the Treasure House opened. 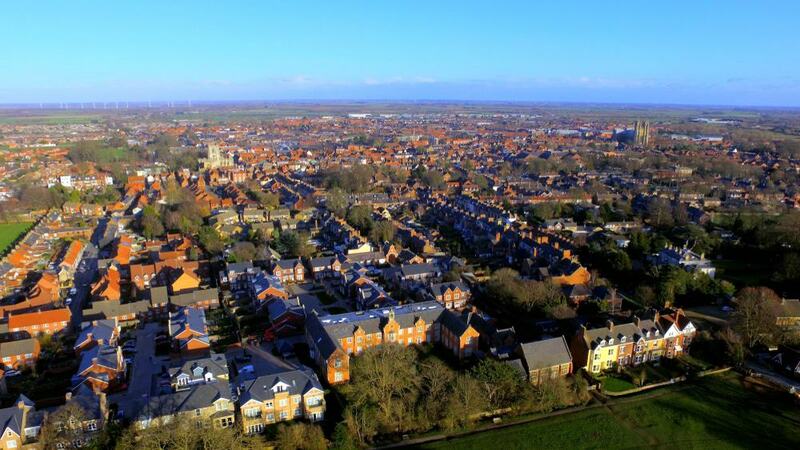 One prominent feature is the tower, which has an observation platform at the top with 360° views of Beverley. The building also offers access to the Edwardian Beverley Art Gallery, which we’ll talk about next. At the exhibition on the first floor you can get to know East Riding’s natural history, geology, landscape and archaeology. Not to be missed is the South Cave Weapons Cache, a display of Iron Age swords. Kids can dress up in old-time costume, busy themselves with interactive puzzles and get creative at the drawing table. The Treasure House puts on a dizzying array of temporary exhibitions, and in Autumn 2018 there was a fantastic show for the Georgian wildlife draughtswoman Elizabeth Lambert. 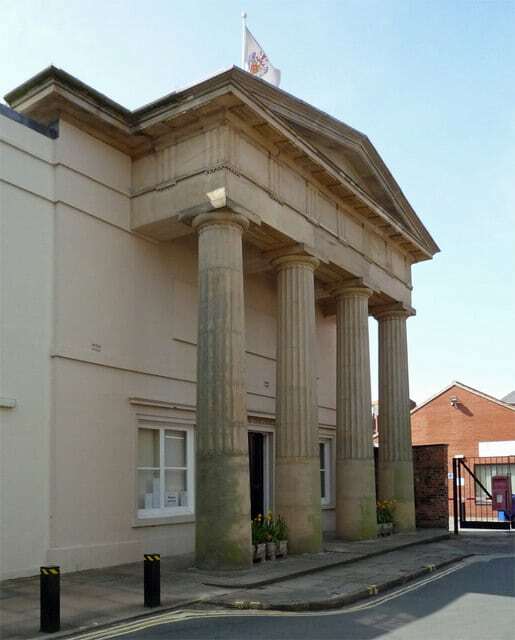 Now an annexe of the Treasure House, the Beverley Art Gallery (1910) is a cultured Edwardian hall with alternating bands of brick and stone in its walls. There are two main galleries here, the first of which is for Beverley’s art collection. One imposing work is A Panic, by the Victorian landscape painter Henry William Banks Davis. This is thought to be the world’s largest cattle painting. There’s also a large assortment of works by the Realist painter Frederic William Elwell, who was born in Beverley in 1870. The second gallery is for temporary exhibitions, showcasing regional talent in photography, painting, sculpture and printing. 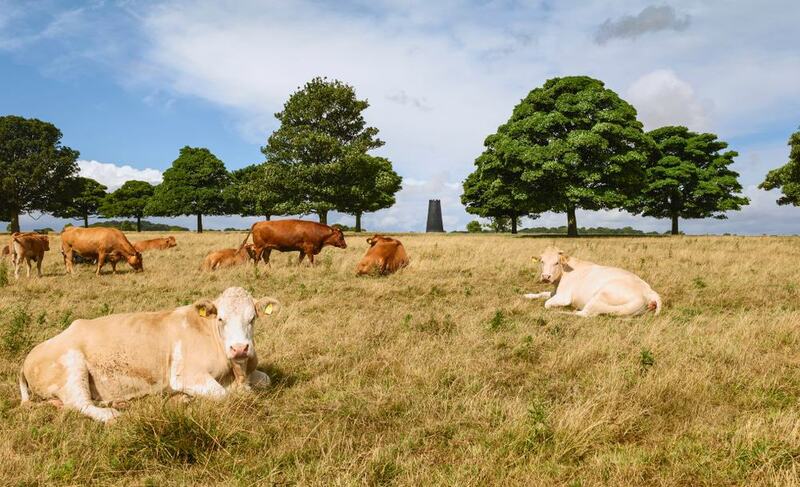 True to its name, the Westwood is on Beverley’s west side and has nothing but open countryside beyond it. This is one of the largest areas of common land in the UK, granted to the townsfolk by the lord of the manor in 1380. If they want, Beverley’s residents can still exercise their right to graze their cattle on Westwood today. At the highest point and with dreamy vistas back to Beverley Minster is the embattled and sail-less Blackmill, the one of five windmills that once stood on the common. This is a landmark for Beverley and East Riding Golf Club, which was founded in 1889. Making up a big sweep of the north of the Westwood is Beverley Racecourse, which we’ll cover below. 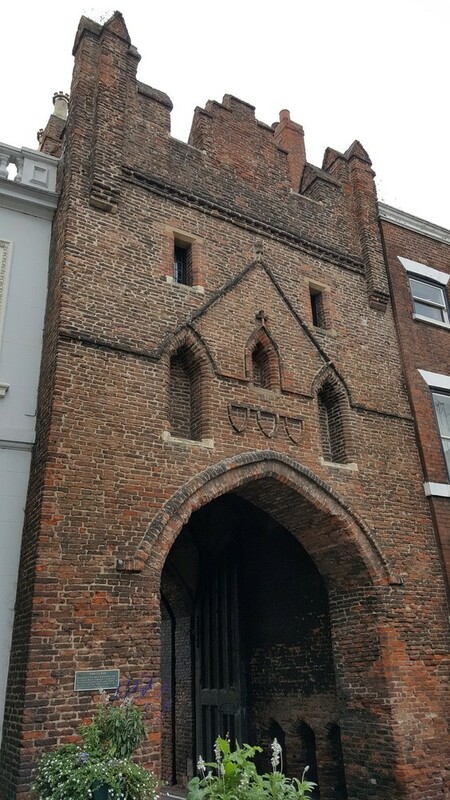 A vestige of Beverley’s town walls, the North Bar is a 15th-century brick-built gate, still used by road traffic on the A164. The portal is only wide enough for a single lane, so traffic is controlled by lights, while pedestrians can pass through the arches to the side. This was used as a toll gate in Medieval times, and would be locked at night in times of conflict like the English Civil War in the 17th century. The north side has buttresses flanking the portal, which is crested by a cartouche and coat of arms. At the top, the parapet is crenellated and was used by the town governors as a private gallery to watch Beverley’s Corpus Christi festivals in the 15th and 16th centuries. Horse-racing took place on this part of the Westwood in the 17th century, but annual meetings weren’t held here until 1767. At that time a grandstand was built, although the course would only be used intermittently until the end of the 19th century. 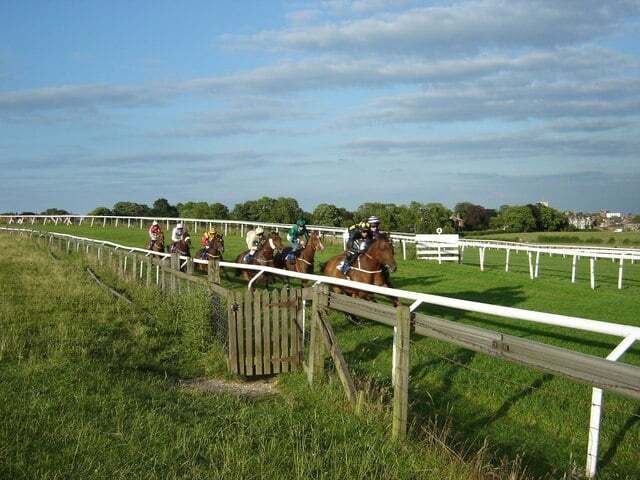 Today Beverley Racecourse is known for its down to earth atmosphere and holds roughly 19 days of flat racing a year, two of which are prestigious Listed events. These are the Hilary Needler Trophy for two-year-olds in May, and the Beverley Bullet Spring Stakes in June for horses aged three and up. In August 2018 the course announced a multimillion-pound redevelopment of the grandstand, slated for completion in 2021. A bit of early industrial infrastructure, the Beverley Beck is a 3/4-mile canal completed in 1731 to allow larger vessels into the town from the River Hull. The canal is still navigable, and at Tickton you can visit Beverley Boat Hire to take a rowboat, canoe or motorboat for on a trip along this peaceful waterway. You can also walk the towpath, spotting pike, eels and bream in the water, and slowly leaving the town behind until you reach the lock at Grovehill on the River Hull. On your journey you’ll go by the MV Syntan (1949), the last of a fleet of industrial barges that shipped coal, hides, flour, grain, paper and nuts along the Beck. Beverley’s Grade I Georgian Guildhall opens up for visits on Wednesdays and Fridays. The building was given a Palladian redesign in the 18th century but has a history that goes right back to 1501. If you’re passing by when the building is open take a detour to see the Courtroom’s magnificent Neoclassical ceiling plasterwork by the Italian Giuseppe Cortese. There’s a collection of civic regalia, civic gifts, photographs and furniture to peruse, while each room has a toy basket to keep children occupied while you look around. 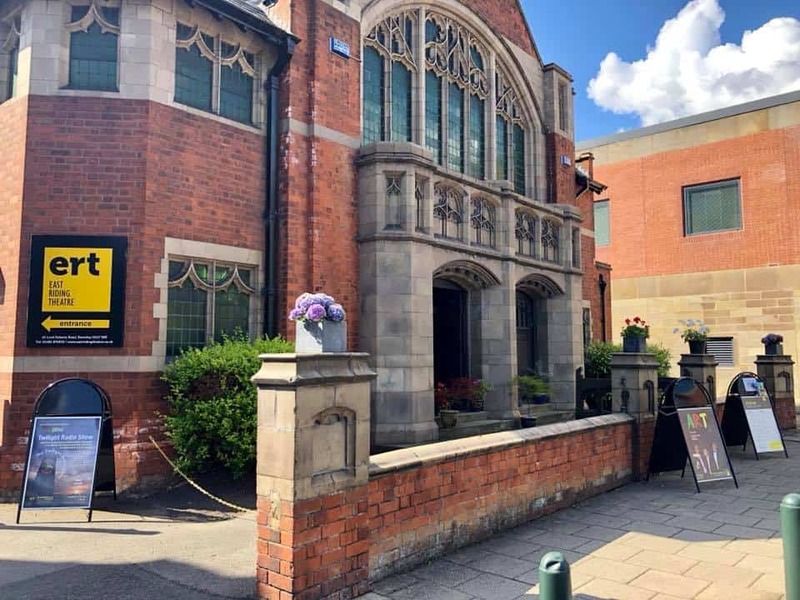 In December 2014 this former Victorian Baptist church became a forward-thinking performing arts venue after a project that involved a lot of volunteer effort. 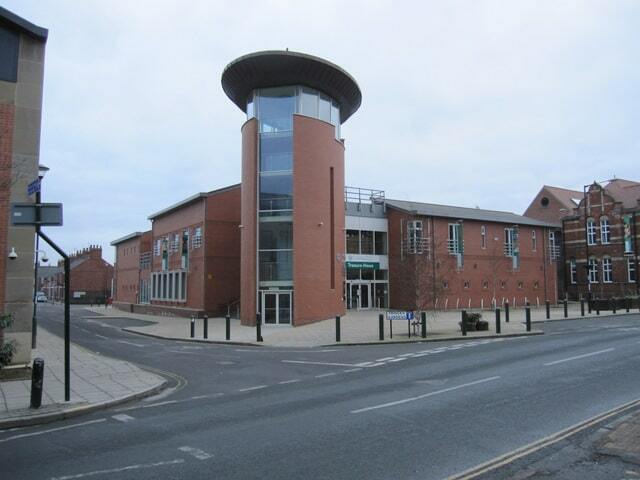 The East Riding Theatre (ERT) is dedicated to high-quality theatre, music, comedy and other edifying entertainment. For a sense of how eclectic the programme can be, autumn 2018 brought a production of the Yasmina Reza play “Art”, comedy by Phill Jupitus, award-winning sketch act Croft & Pearce and music workshops for young children and parents. 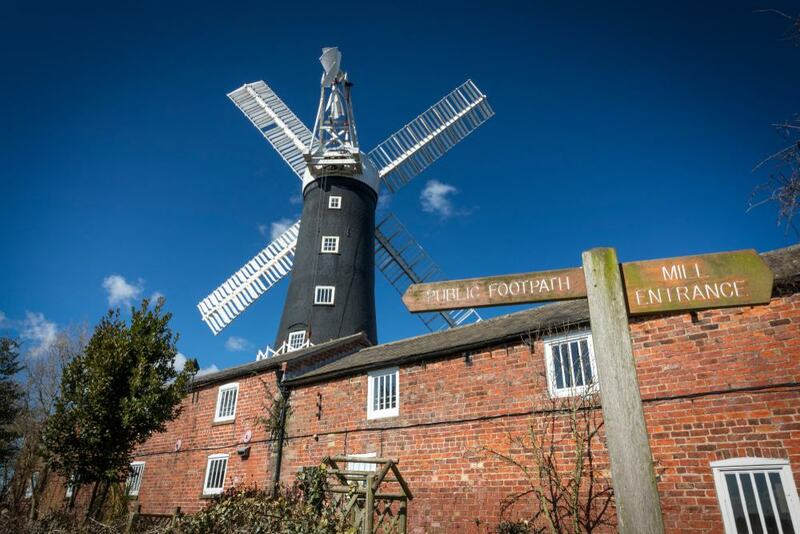 The last operating windmill in East Yorkshire is a recommended outing four miles south of Beverley’s town centre. The Skidby Windmill dates to 1821 and was raised to its current five storeys in 1870. The four sails powering the mill are 11 metres long and are joined to a white ogee cap that weighs 15 tons. Something quite rare is that all the outbuildings intact, and some of these are occupied by the East Riding Museum of Rural Life. You can peruse two absorbing collections of historic farming implements, along with photographs and audio accounts of day-to-day village life in the East Riding. The mill and its accompanying museum are open every day of the week, and flour is normally milled on Wednesdays and Sundays, although the mechanism was out of order when this post was written. For another dose of chlorophyll, this 49-acre reserve is on the town’s southern fringe. The history of the site can be traced back to the Domesday Book in 1086 when the land was owned by the Archbishops of York. The two large fields here have evidence of Medieval ridge and furrow farming, and these are currently being turned into traditional parkland. The reserve also has a small wood and a bucolic orchard that was planted for the new millennium. In the orchard is a set of hives maintained by the Beverley Beekeepers Association. For a longer walk you could strike out on the Hudson Way Rail Trail, along the trackbed of the old York to Beverley Line, which opened in 1865 and operated for 100 years. Ten miles long, the trail is named after George Hudson, the entrepreneur known as the “Railway King” in the mid-19th century. Hudson’s empire was built on sketchy business practices, and he was forced to flee to France for a decade in 1859 to avoid imprisonment. The route guides you through quiet countryside, under old railway bridges and past former stops. 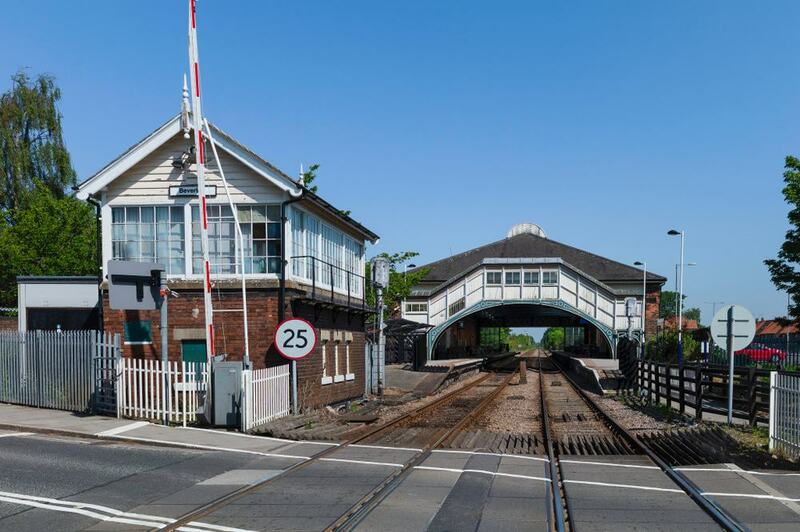 One, Kiplingcotes railway station has preserved its old station building, platforms, signal box and station master’s house. You can plan a spot of upmarket shopping in Beverley’s sweet town centre. In these rows of old period properties are antiques shops, high-end brands like Jo Malone, Joules and Jack Wills, together with a smattering of British high street favourites. On the Market Place there’s a branch of the posh Browns department store in the refined surrounds of the former Corn Exchange, dating to 1886. And to keep you going, Beverley has more historic pubs than you could possibly visit (40 at the last count). The Sun Inn dates back to 1501, and the White Horse Inn is one of the last in the world still using gas lighting. Try to come on a Saturday, when the Market Place is filled with 120 stalls for anything from fresh produce to arts and crafts, cut flowers and streetfood from around the world.